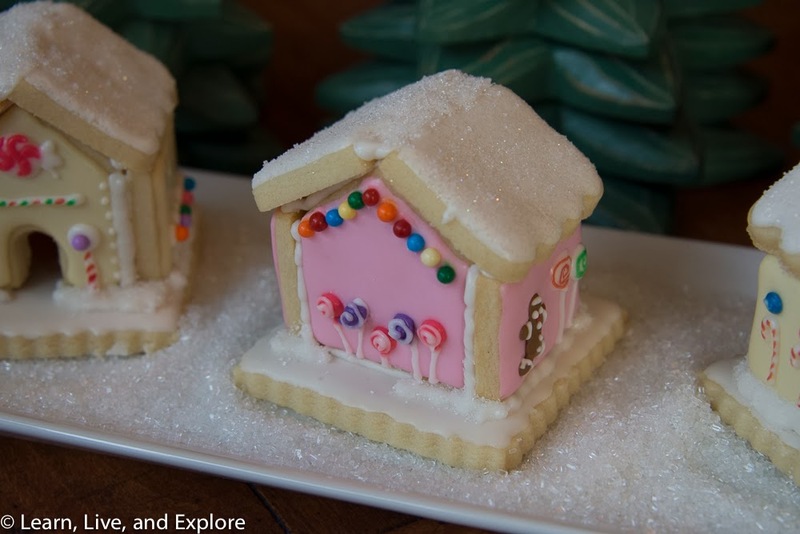 Mini Winter Gingerbread Houses...though not made with gingerbread ~ Learn, Live, and Explore! 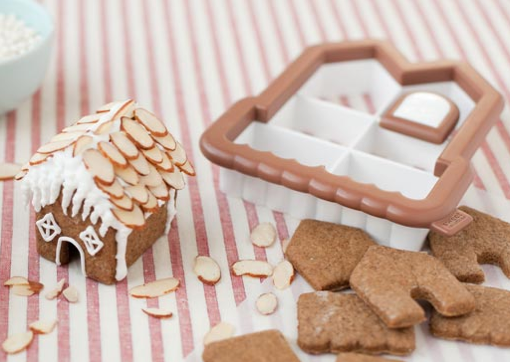 I saw a very cute 3-D gingerbread house cookie cutter (link) and thought that would be a fun project to do with my mom at home over the holidays - with my mom being the better cookie decorator than me by far!! We tried out a new recipe for gingerbread that was a complete failure, but fortunately my mom had some sugar cookie dough in the freezer. 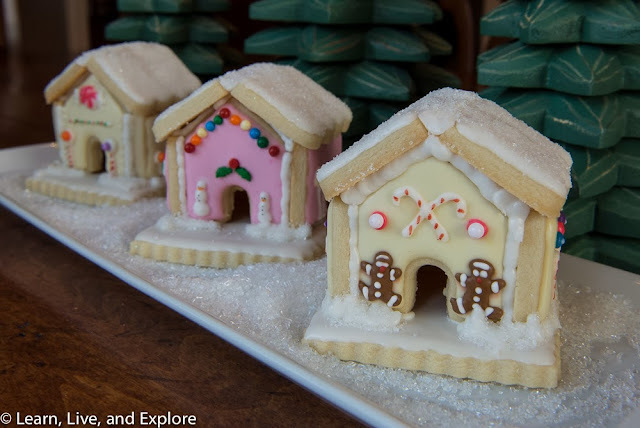 So, instead of mini gingerbread houses, it's mini sugar cookie houses. Cute results, regardless of the dough flavor, I think. 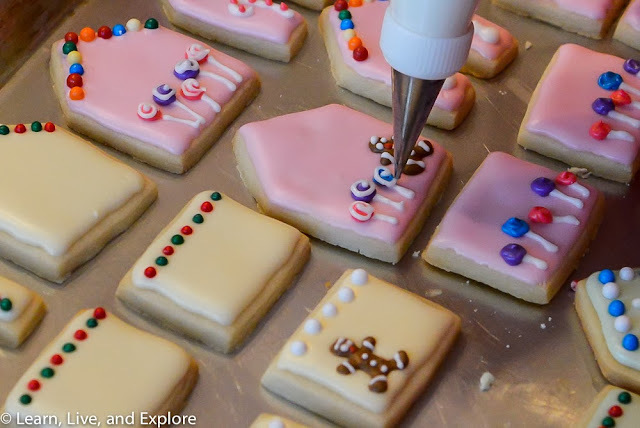 Like most decorated cookies, the first step is to flood the cookie with the base color, and let it dry. The decorations were created by piping on various colors of royal icing or attaching sprinkles and other accessories while the flooded areas were still wet. The gingerbread men were conveniently leftover from another project my mom did for the holidays, but aside from being time consuming, they are not that hard to make. 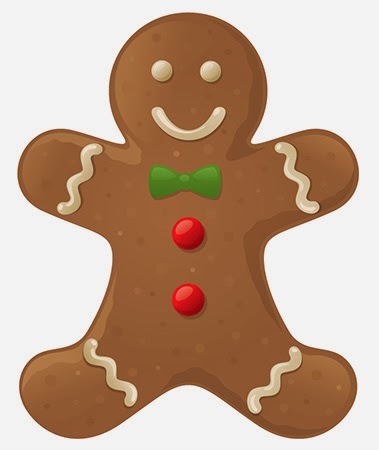 Take the gingerbread man stencil below and create an array on a sheet of paper using document software (most likely MS Word). Print it out, then lay a sheet of parchment paper over it, tack it down with tape, and trace the gingerbread man with piped royal icing. Let it dry and add the gingerbread man details with more piped on icing. The candy canes were piped directly on the sides of the houses, allowed to dry, then striped using a red edible ink pen. As you can see in the photo below, the lollipops were created by piping on the base color, letting it dry a little, then using a very fine tipped (#1) piping bag of white icing to create the swirl. The roofs of the houses were flooded in white and sprinkled with a mix of white sanding sugar and iridescent edible glitter while wet. We also added some more piped white icing to clean up all the joints. The bases were cut using a scalloped square cookie cutter and flooded with white. 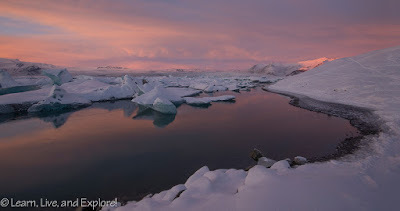 The last stage was adding the drifts of snow to the sides of the house and dusting with sanding sugar.